Exhibition Curator Fleur Peters pictured with Artristic founder Tony Barber and Diana Keir, winner of the inaugural Artristic Award for Ingenuity and Innovation. Frequent visitors to the island, Tony and wife Sue traveled to Penneshaw so he could present the inaugural prize. 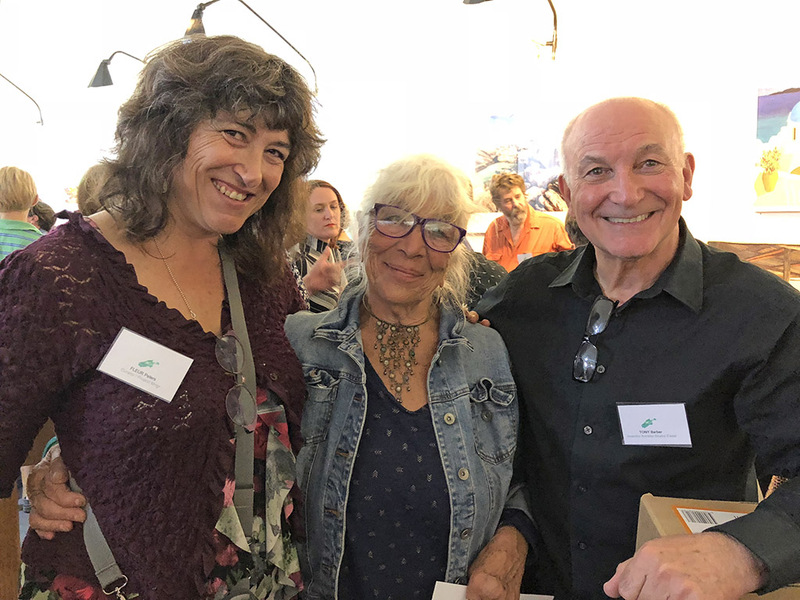 Kangaroo Island Artist and Printmaker Michele Lane cemented her place in history as a multiple winner of the coveted Peter Walker Award at the official opening of this year’s Kangaroo Island Easter Art Exhibition.